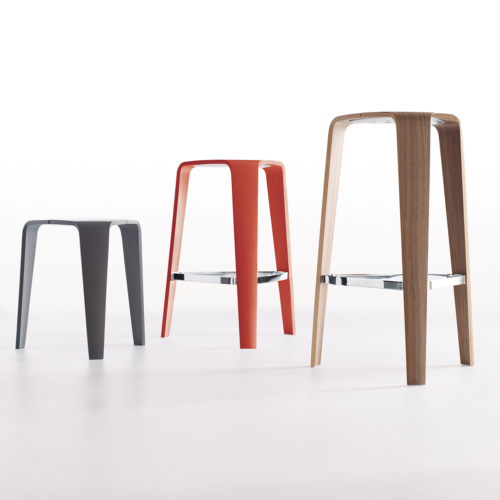 Tre stool is offered in bar, counter, and lounge heights with a proportional base on each. This array of height options takes Tre into a variety of areas and occasions, from casual, collaborative workspaces and libraries to corporate cafés and hospitality settings. Taking Tre’s molded plywood technology to the next level, Tre Bar Table is the counterpart to Tre barstool. Offering a magnificent complement to the popular line, this bar height table opens a new world of opportunities to the Tre family.